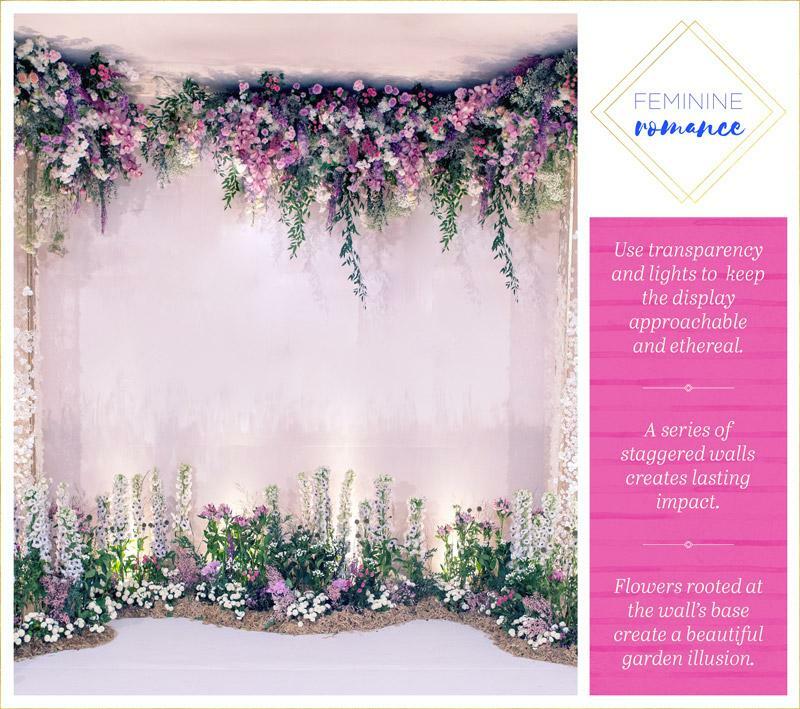 Whether you have been to a wedding recently, have seen pictures of a wedding or are planning a wedding yourself, chances are you have come across a flower wall or two. 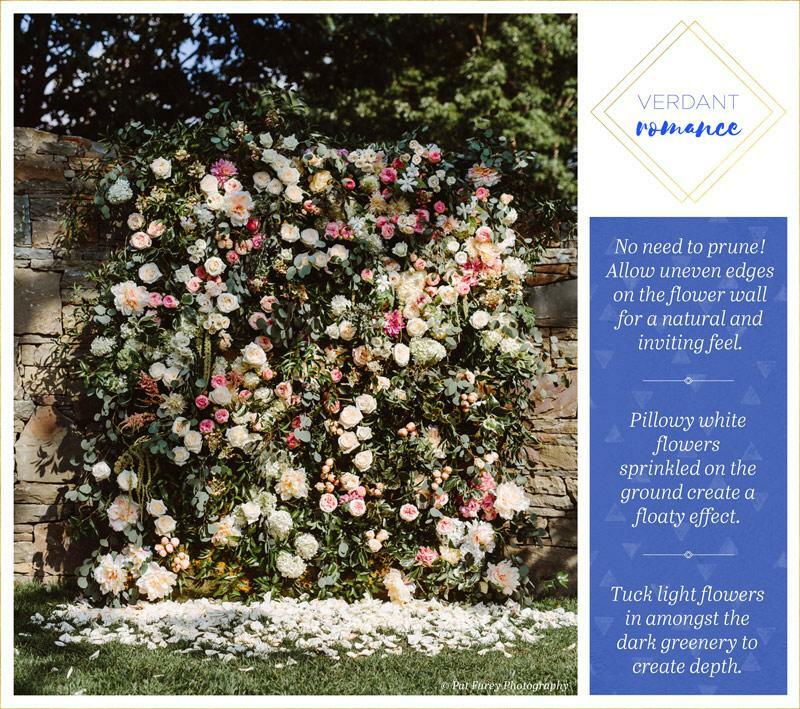 The flower wall trend is sweeping the wedding world and they can be used as backdrops for photo booths, beautiful archways or venue decor. 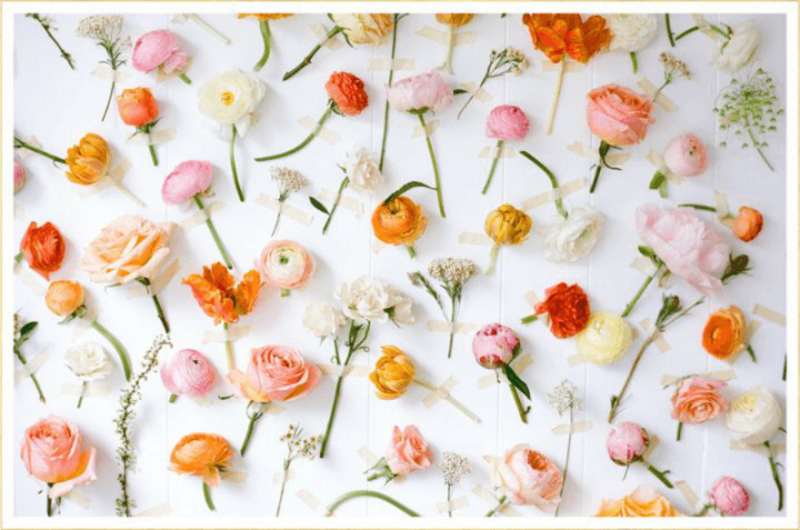 There are plenty of ways to create the flower wall of your dreams. 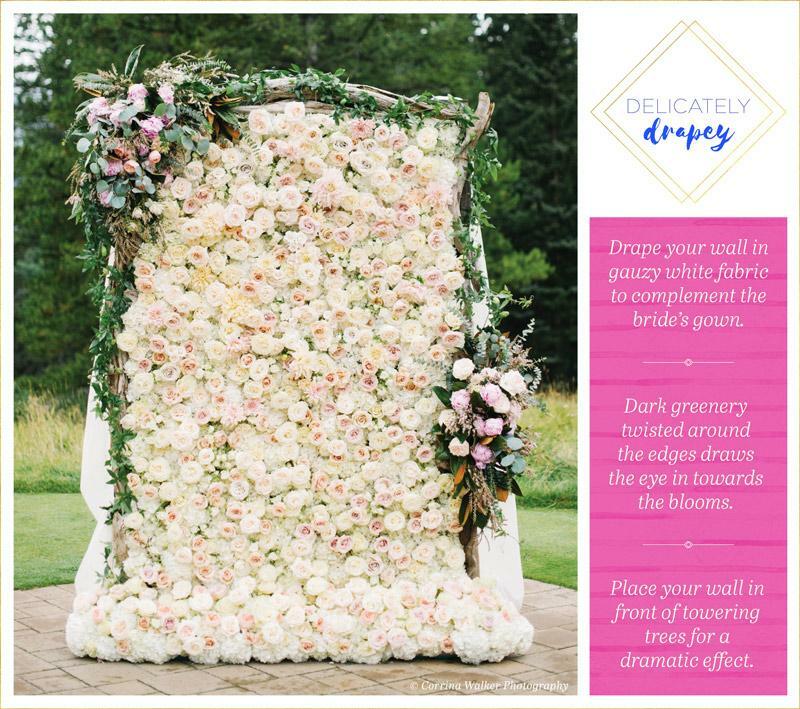 To help you find the flower wall that is unique to you, FTD has rounded up 14 of their favorite kinds below. For an elegant look, use a dark sheer curtain as a background for hanging greenery. Add blooms that have a light hue to create pops of color. 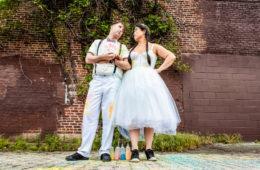 Keep the focus on the florals by using soft paint tones next to delicately-colored flowers. 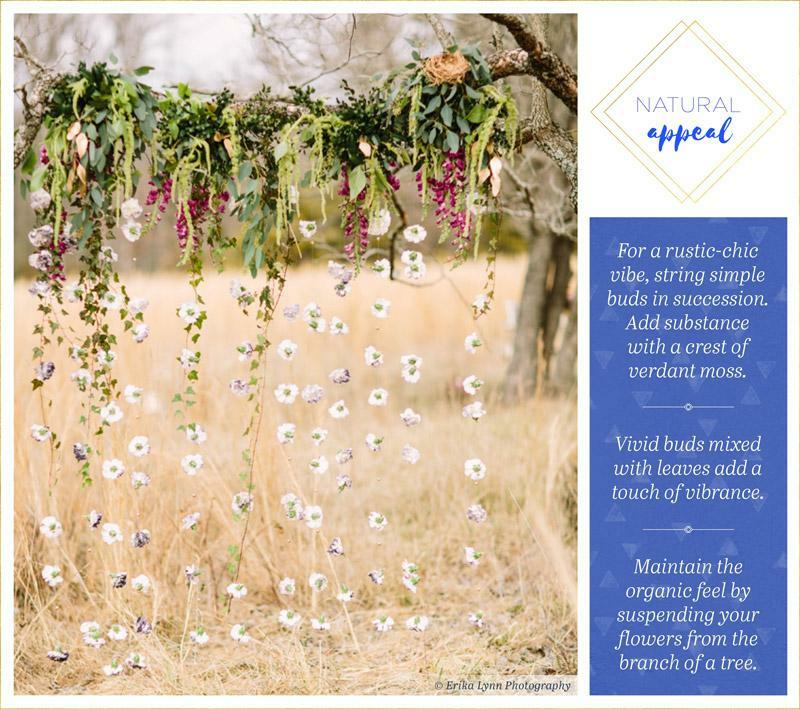 Allow vines to dangle down to create a natural feel. Add lights to whimsical buds and drapey vines to create a fairy tale feel. Pastel purples and pinks paired with white create the ultimate feminine vibe. 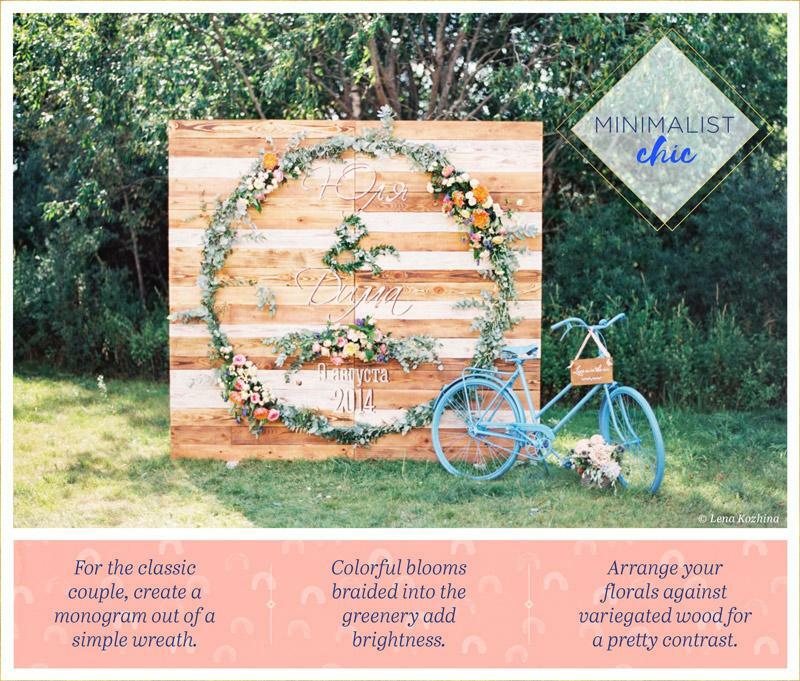 The natural appeal of this flower wall is perfect for anyone who is having an outdoor wedding. 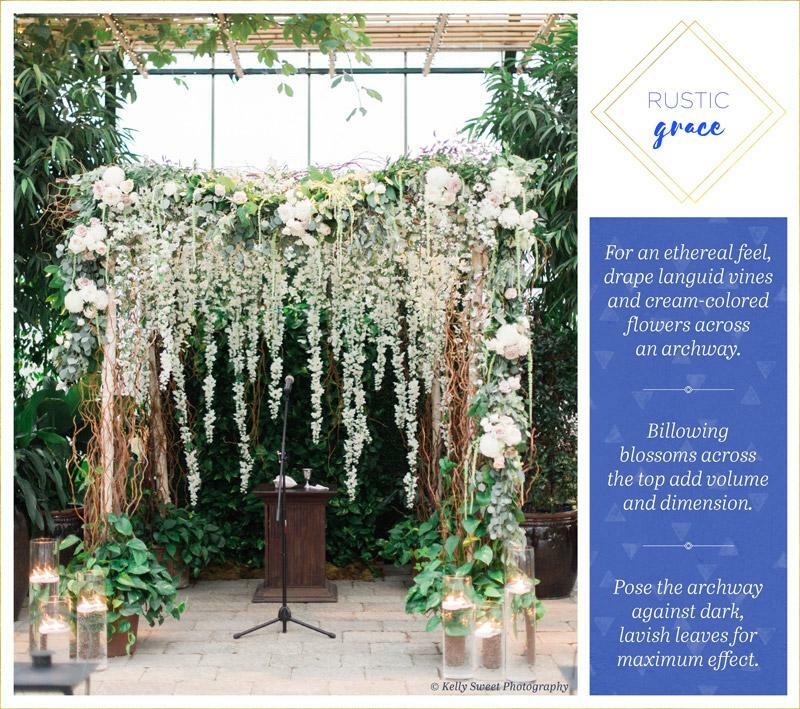 Utilize natural greenery around you by draping your favorite flowers from branches. 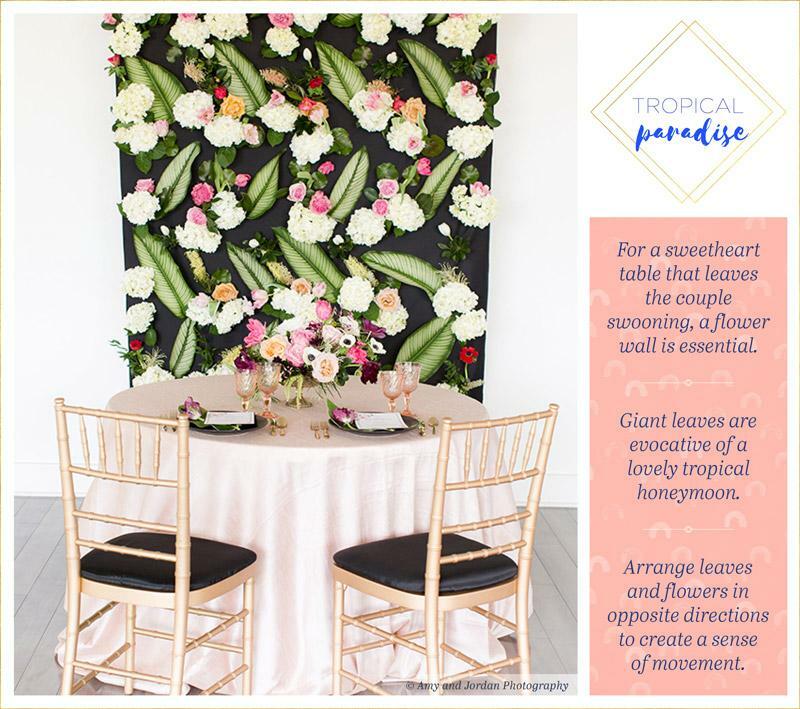 Make your guests feel like they are in a tropical paradise by using giant leaves against an exotic background. 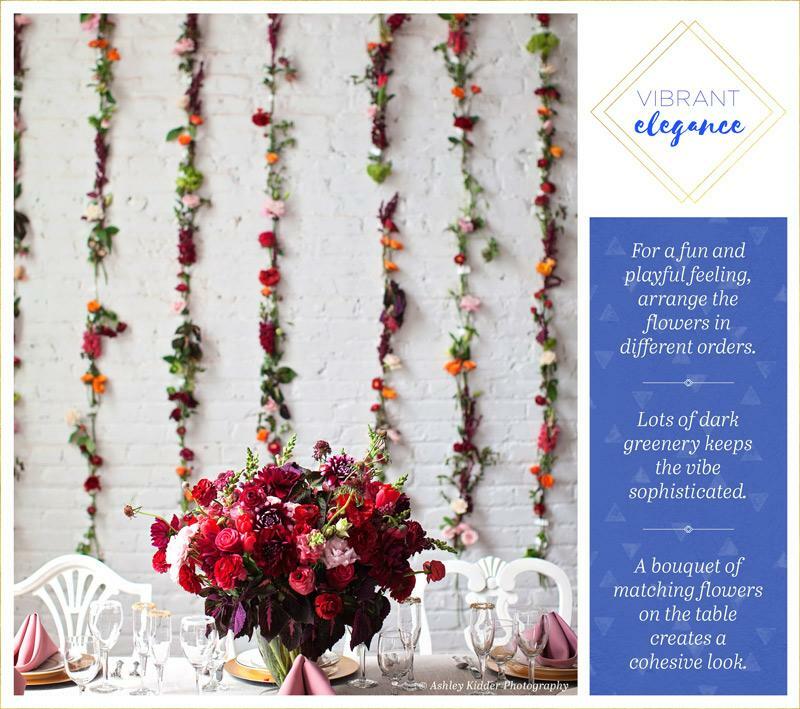 Arrange the florals in opposite directions to create a sense of movement. 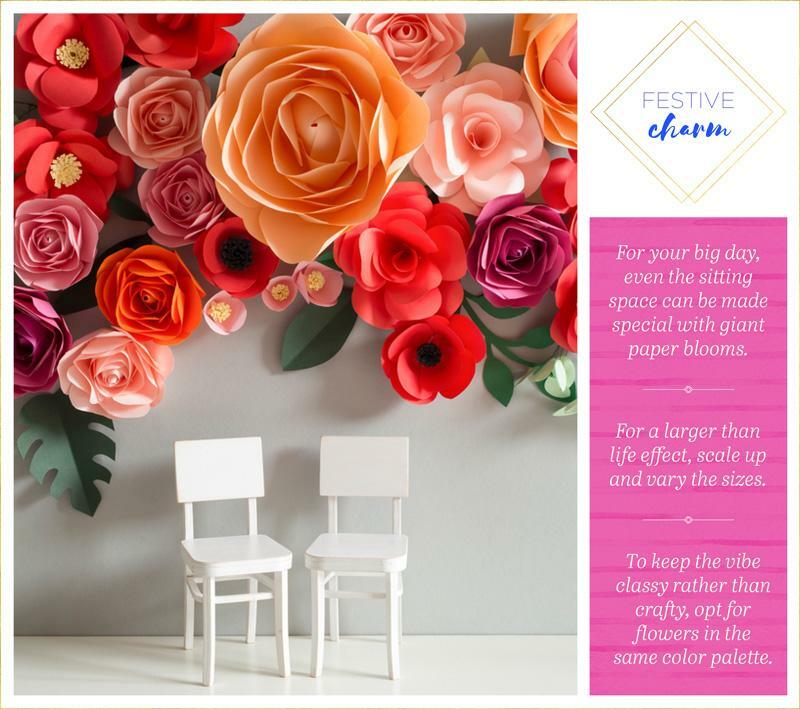 Make your guests feel like they are in wonderland by attaching bright colored paper flowers to the walls. 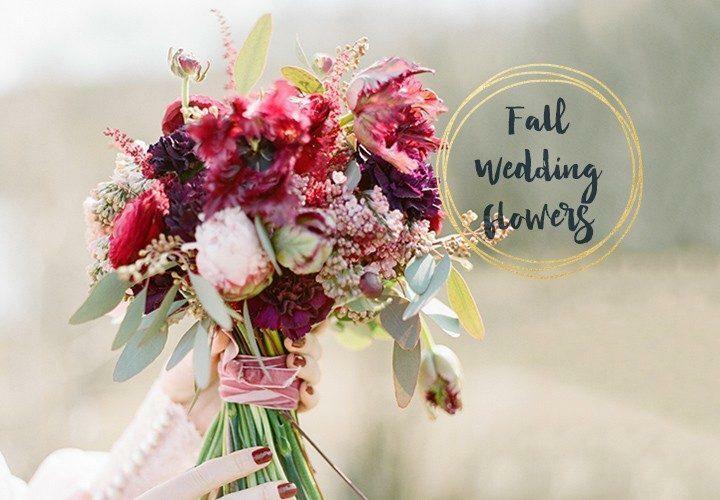 Try matching the colors with the bride’s bouquet to create a cohesive look. 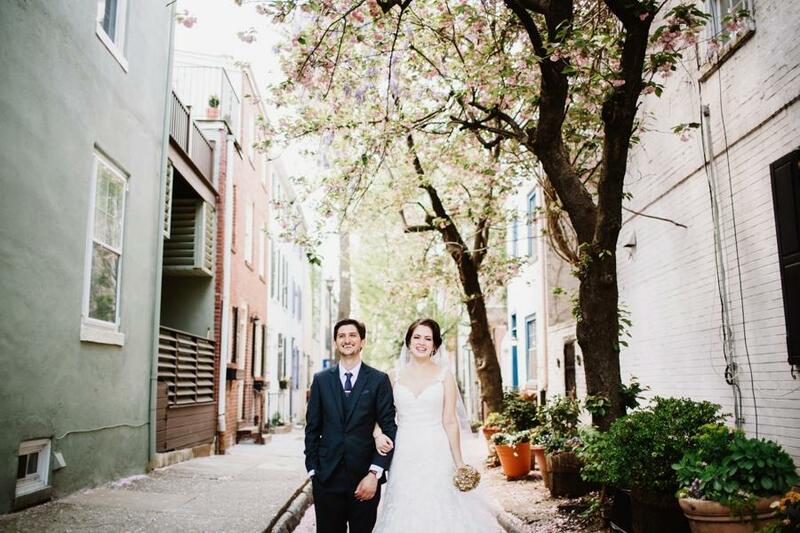 If your venue already has a wall covered in vines, add natural blooms to create an organic feeling. 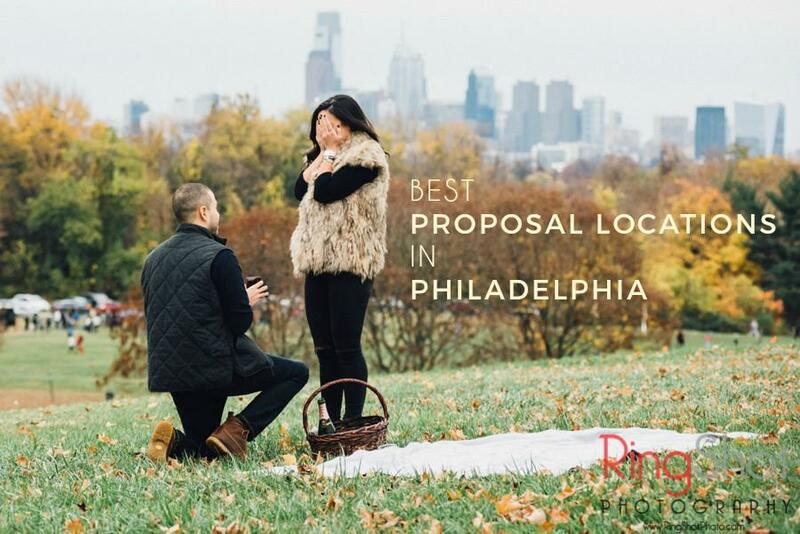 Sprinkle petals on the ground to create a floaty effect. 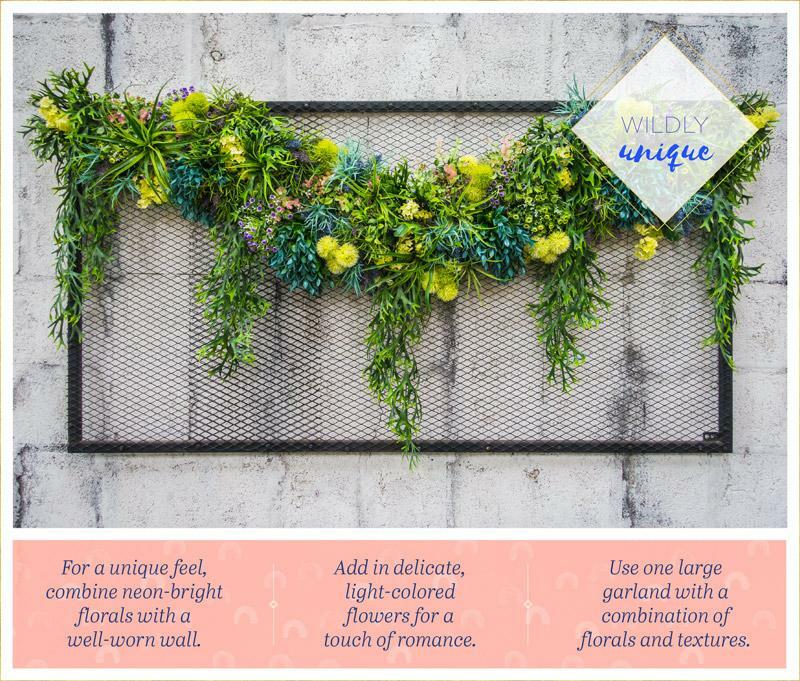 For an eye catching flower wall that will wow your guests, combine vivid vines with neon-bright florals. 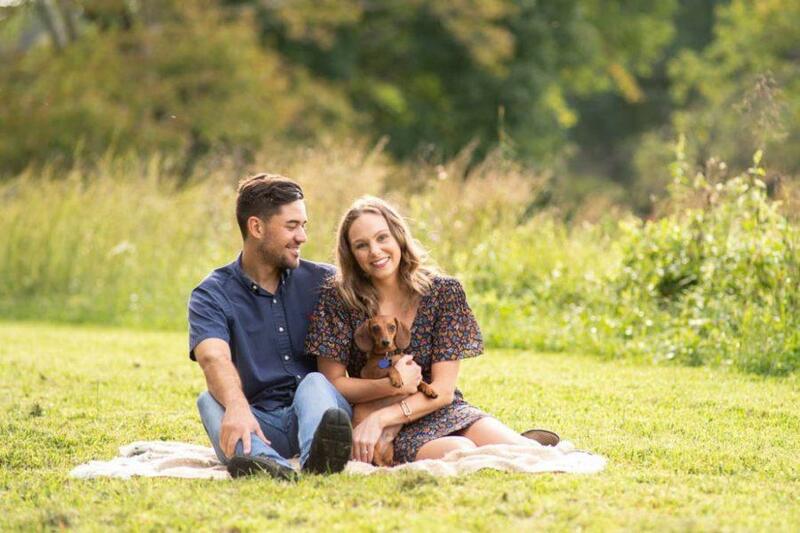 Attach this to a metal background to create a rustic vibe. 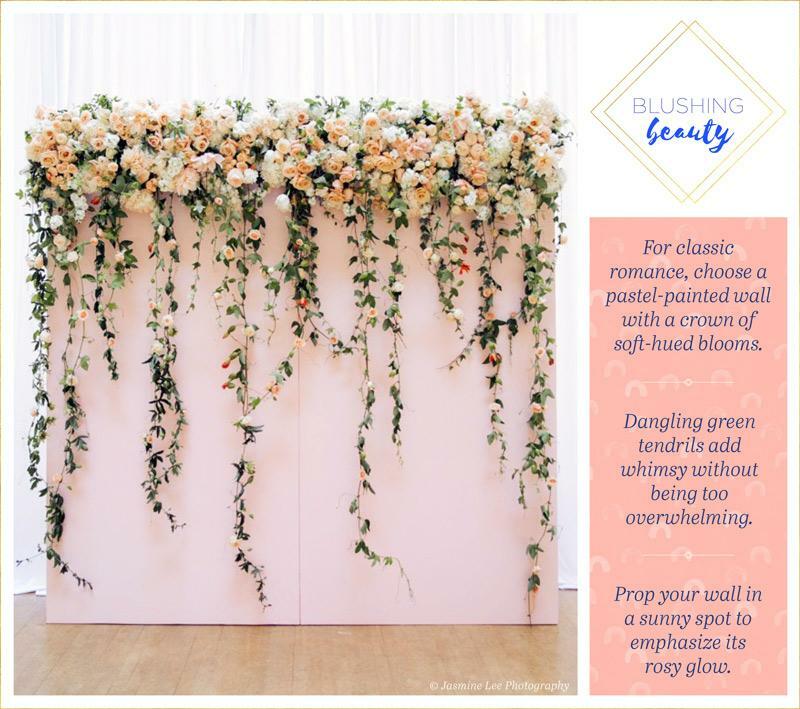 Capture the bride’s beauty in a flower wall that bunches pastel blooms against a drapey fabric that is reminiscent of a veil. 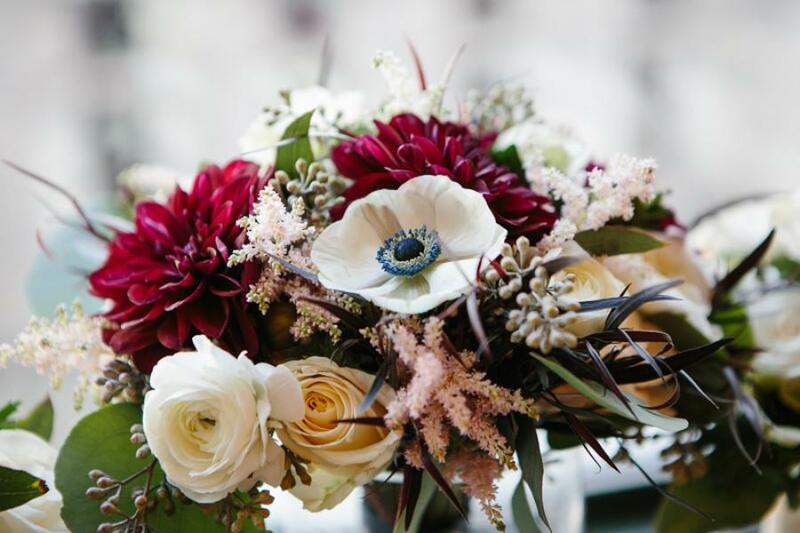 Twist dark greenery around the edges to draw attention to the blooms. For a chic yet playful feeling, arrange colorful columns of fresh blooms against a white wall. Add a bouquet of matching flowers on nearby tables for a consistent theme. A flower wall does not have to be filled with just flowers. 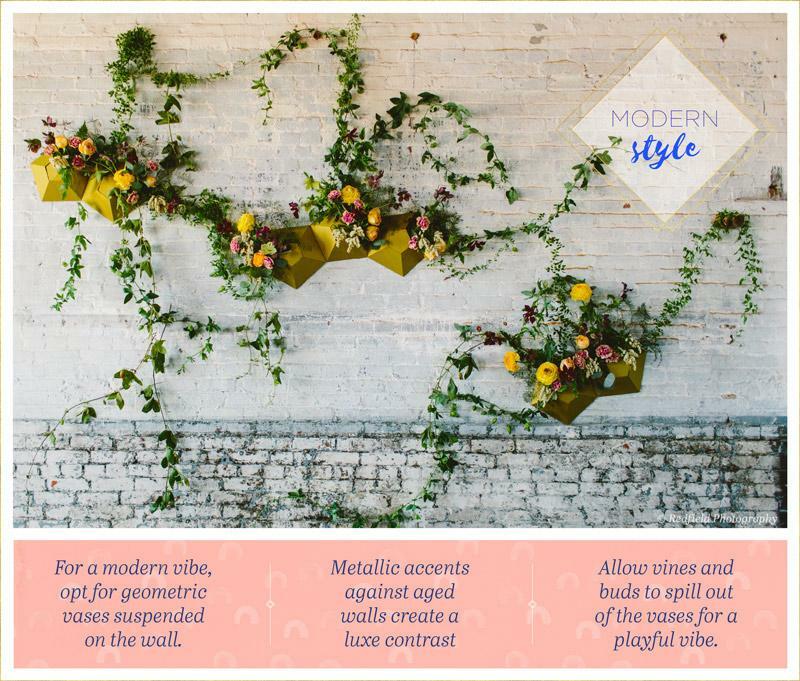 Attach vases with a couple florals in them against a wall for a more modern look. 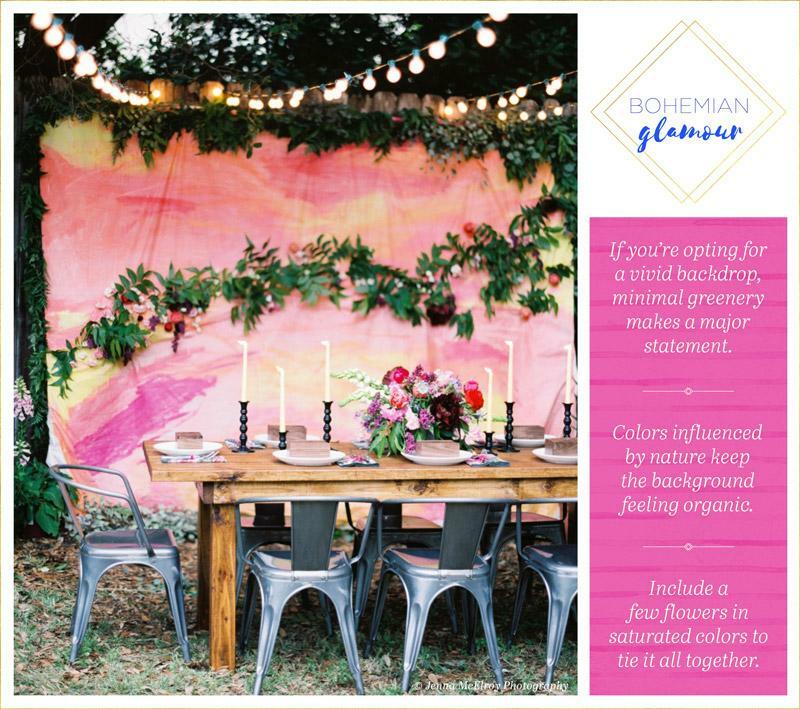 Recreate a dreamy sunset by arranging blooms against sunset swirls of color. When using a vivid backdrop, opt for minimal greenery to make a statement. If you aren’t sure if you want an archway or a wall, create a combination of the two! 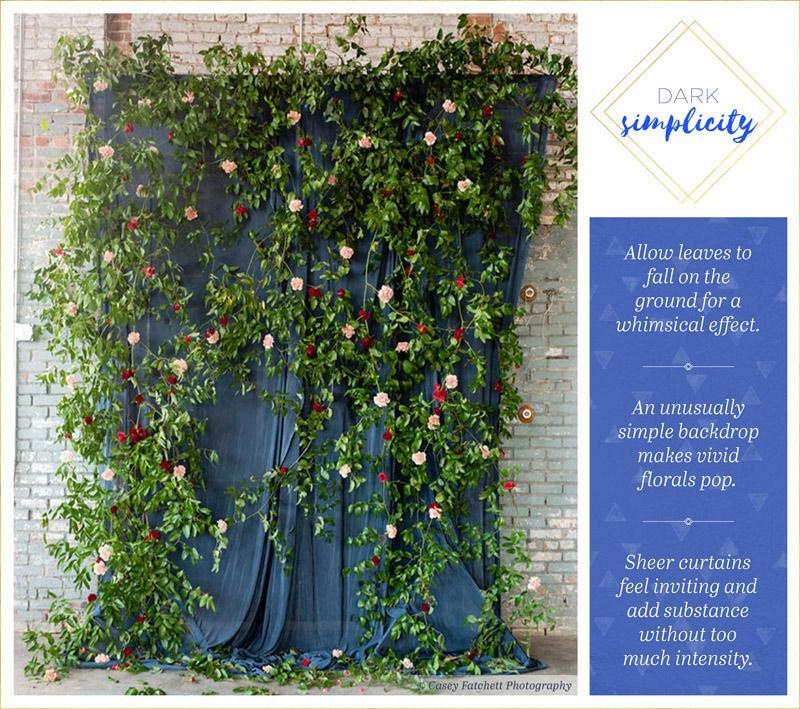 Cover an arch with vines and beautiful florals to display a curtain of blooms. For a more simple look, add brilliant blooms to a wreath. Attach this to a background of multicolored wood for a pretty contrast.